Celebrities were not born as celebrities. Ok, there’s the odd son/daughter of a celeb, who inherits the title and gets smeared out all over the tabloids like there’s no tomorrow, but those are the exceptions to the rule. Celebrities basically start off as nobodies. They are the sons and daughters of telecom product sellers (Lady Gaga’s parents) or a bus driver (Bruce Springsteen’s father) or pub owners (Robbie Williams’ parents), for instance. And they often come from nowhere. Literally the middle of nowhere: weird-sounding birthplaces like Gary (Michael Jackson) or McComb (Britney Spears) or Bay City (Madonna). Take Iggy Azalea. She’s Hip-Hop’s Unlikely New Mega Star: A White, Blonde, Australian Woman. She was born in tiny Mullumbimby, boasting a population of 3,129 (in 2014), but she achieved something truly exceptional in 2014: matching the several-decades-lasting record of The Beatles. She actually scored both the number one and number two spots in the billboard hot 100 (Fancy & Problem) with her very first two entries in the chart! If little Iggy at the age of 10 had thought once from Mullumbimby, always from Mullumbimby, she never would have made it this far. A lot of companies forget to look beyond their own borders and tend to stick to the geographical region they are in. They look for national presence only, hiring local people only, communicating in their local language only, advertising in the local press only and failing to see the opportunities outside of their own region. As a consequence, they put themselves at risk as their fate will also reside in that region: if the region is doing well, they’ll mirror that, but if the region is under pressure economically, they’ll go down with it. Too many companies fail to move out of their geographical comfort zone, spread their risk and go where the economic growth is. Take LEGO from Billund: with a population of 6,194 (January 2014), Billund used to be a sleepy little town in Jutland, Denmark. Today it is the home of toy giant LEGO. LEGO Group began manufacturing interlocking toy bricks in Billund in 1949. 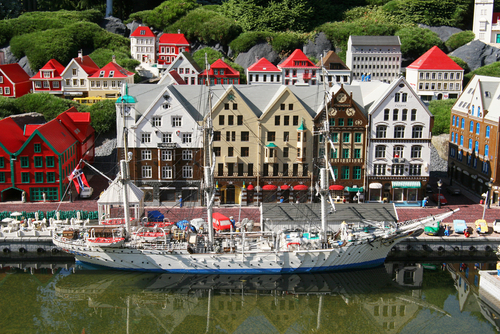 Thanks to the ambition of the pioneers and their thinking out of the geographical comfort zone in the ‘50s, Lego has evolved into a global subculture supporting movies, games, competitions, themed amusement parks and many other things.